I’m back today with a little something to say thanks for all the love. So many kind words of encouragement as I start this new adventure and I thought there is no better way to say Thanks than with a GIVEAWAY. Leave me a comment and say Hi. I will be choosing a winner Friday! Woot!! You will receive everything you see in this picture. 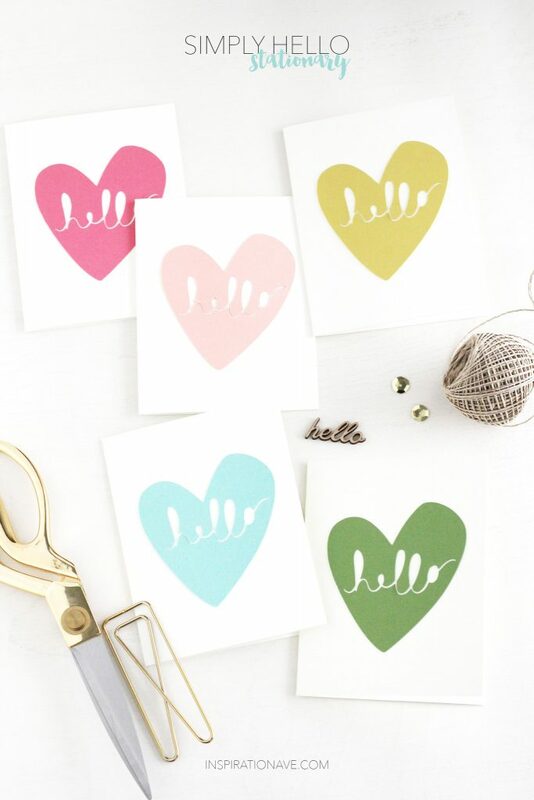 A little note stamp set (available in my shop) misc. paper goods and all packaged in a little bag with my logo. I think you will enjoy this little set. So versatile! As I was skimming through pinterest one evening I came across this Quote “By Doing what you Love, You Inspire & Awaken the hearts of others.” It stopped me. I loved it! I knew it had to be a part of my new website. There are so many crazy talented people out there that have done this for me. Inspired me, made me so excited to create something I couldn’t think about doing anything else. 🙂 So I thought I would share with you all a little project that is easy to make and the perfect addition to your space. There isn’t much to this. 1. Cut the file with your cutting machine. 2. Lightly watercolor over the text to create a pop of color. 3. Hang on your inboard or frame 🙂 And if you have purchased the new Minc yet…. just go ahead and use this file to create a little foiled artwork. I think I’ll be doing that tonight! You can get the Inspire download free in mySHOP! Just add to your cart but you will not be charged! It’s the perfect reminder to never give up what you are passionate about. Whatever that may be it’s meant to be shared. Just in time for fall. My favorite time of the year for so many reasons. 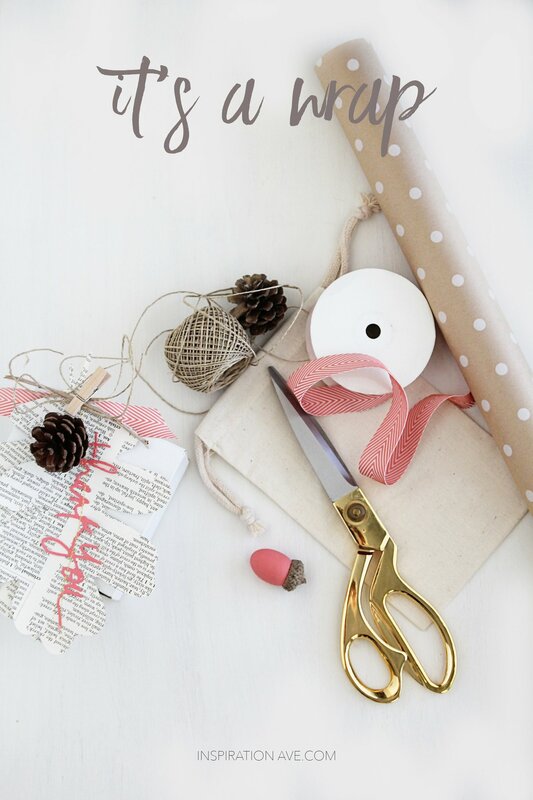 With the Holiday season approaching there will be lots of gift giving and wrapping is probably my favorite part. Did you know giving is good for your health?! 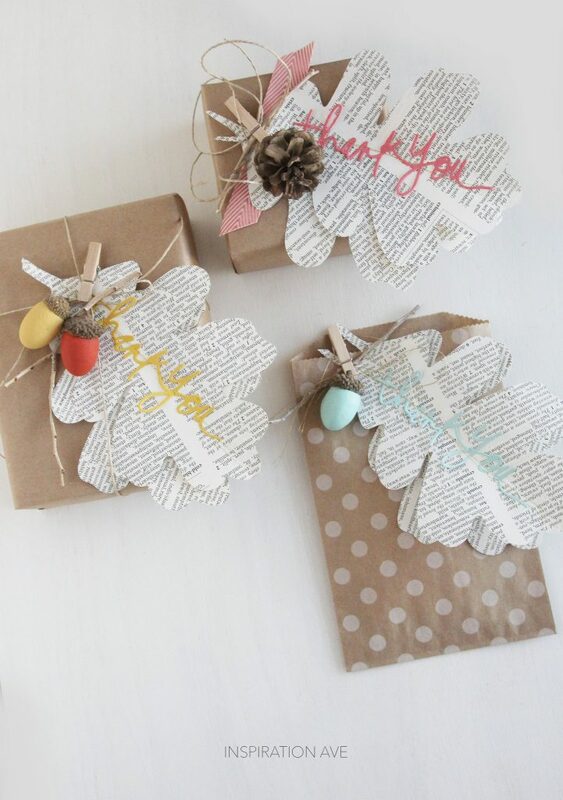 I read this on the internet… it must be true, but really, it’s a universal way to show appreciation and gratitude .So I’m sharing a simple wrapping idea today using some old books/ paint and some gifts that mother nature has left to gather. Hello, Hello!! Welcome friends! New and old. I am so excited to have you here. This is the new home of Inspiration Ave and I hope you enjoy your visit. I thought I’d share a little about my journey today. You won’t likely see too many posts from me that speak to my personal life but for those of you that have followed me might have wondered what happened. I’ve always had a passion to share my love of crafting and making things look pretty. It’s important to me and when I share I love the connections and friendships that are made, I love watching someone who may not think they are creative make something beautiful. This community of crafters is one Amazing bunch!! I started Inspiration Ave in 2012 as a little blog but I had visions of it becoming something greater than just a blog… but there is this thing called life. It doesn’t always work out how you plan. The last two years have been filled with many ups and downs. Many moves, 2 new jobs and all the stuff in-between. Sadly, my focus had to shift. This was very difficult for me to admit to myself, I tried to keep my little blog alive and continue to make products but with all the realities of taking care of my family and being good at my job I needed to step back and remind myself that timing is everything and in time I could make this happen again. Well , it’s here. The timing is good and I’m full of ideas to share. If you have looked around the site than you know I will be offering classes very soon. This is what I’m most excited about. I can’t wait to show you all that is possible with a little paper, ink and a few stamps. I will be offering new products every month along with lots of blog posts sharing how to use that product and lots of other fun stuff too! I will be adding lots of little details to the site over the next week but I decided done and launched was better than perfect! Today, I am just sharing a quick idea (pictured above) using one of my new cut files. You made my day– available in the shop. It really doesn’t get any easier than this! 1. Load the cut file to your cutting machine 2. Cut the image from your favorite colors 3. Glue the images to the cut and folded cardstock. This project is less than 10minutes including the download time:) So no excuses for those store bought cards.Right?! Now, be sure to come back soon! There will be fun giveaways all week and more ideas to help you “live inspired” I’d love to meet you so stop and say Hi before you leave, let me know what you think. Free downloadable Quote available in a PNG file , perfect for your cutting machine or printing options. Hi all, Hope you had a lovely weekend! Extra family time is always something I look forward to. I can’t seem to get enough these days! I did squeeze in a little time to create between all the eating and family:) I’m working on sending out some happy mail to a few friends and thought I would make some handmade notecards. 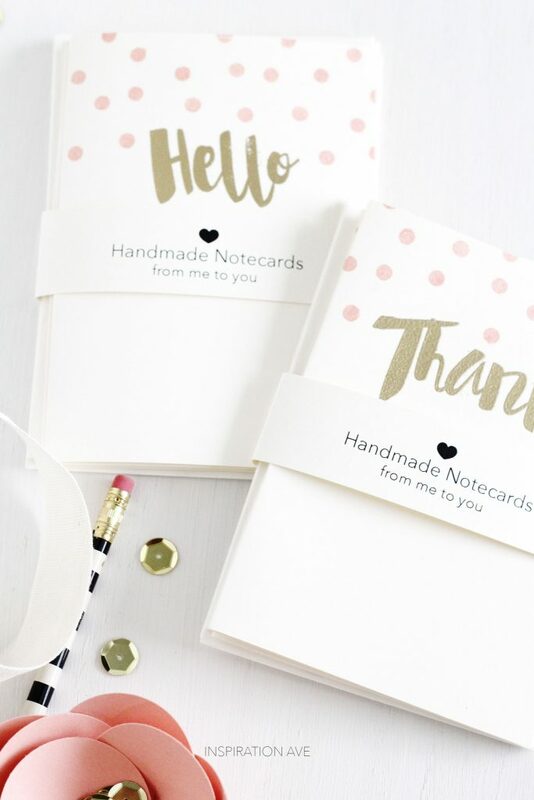 I love pretty paper and notecards are no exception and while I love to buy them I have learned that with a little paper and a stamp set I can create my own notecards over and over. So much more cost effective when I want to send them as gifts and I think they love them more- because they are handmade. 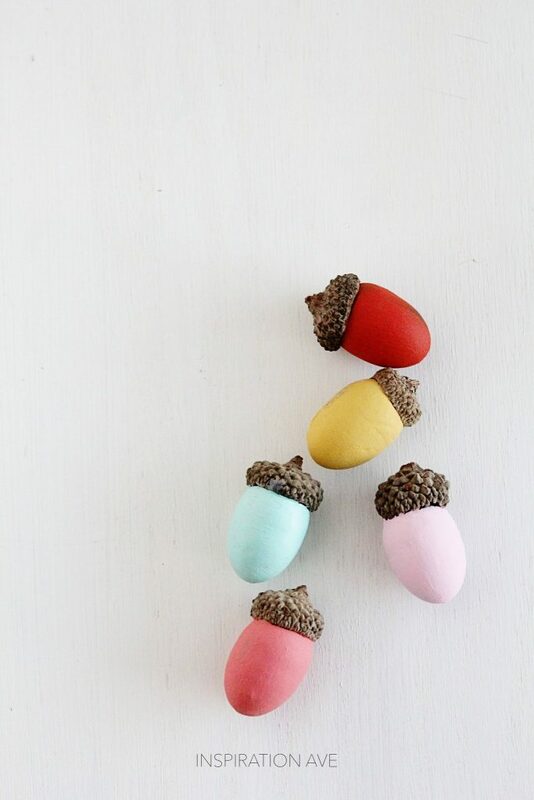 These are so easy to make and the gold embossing is the perfect pop! 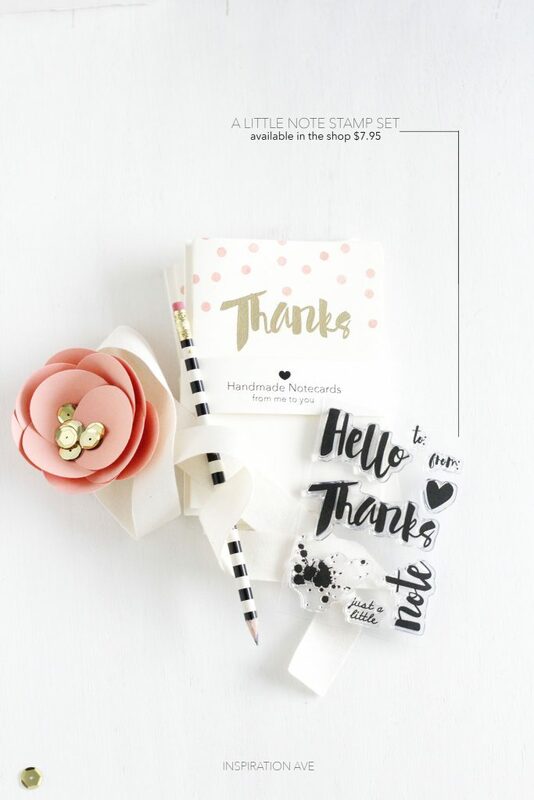 Don’t be afraid to give your little cards a more professional finish by adding a little personalized strip of cardstock. I simply typed a little note and printed on 8.5 x 11 cardstock , cut and wrapped. It’s the perfect finishing touch to give this away or maybe if you are like me a few might make it to my stationary box.